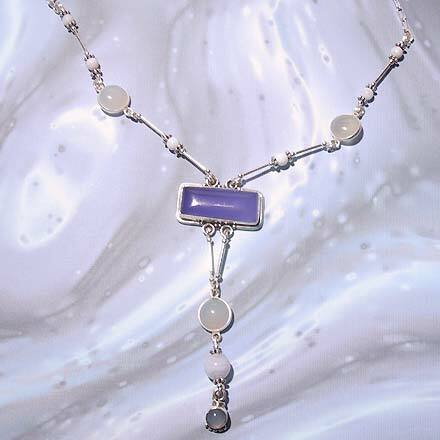 Sterling Silver Blue Lace Agate and Chalcedony Necklace. See Closeup. 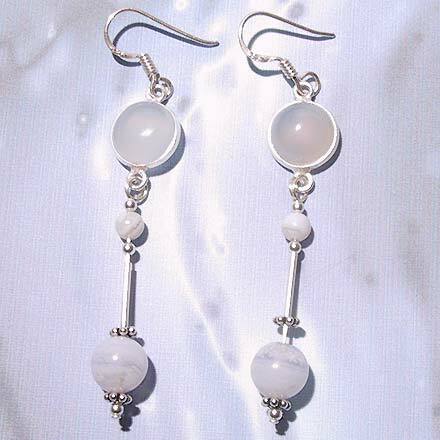 Sterling Silver Blue Lace Agate and Chalcedony Earrings. This is a most unusual "Y-shaped" chain necklace. 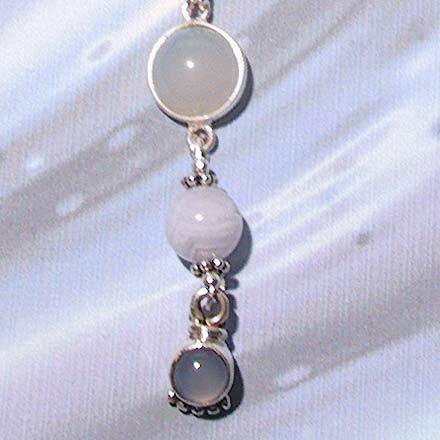 Set blue and white Chalcedony stones are highlighted by blue lace agate and silver bali beads. The necklace is approximately 17" long. For those who are interested in Astrological significances of stones, Agate corresponds with Gemini and Capricorn. All chains, wire, findings, settings and silver beads are solid .925 sterling silver, NOT silver plated. Size of pendants include setting and bail; size of necklaces are approximate and include clasp length.